All kinds of stuff going on in this eye-popping display!! You name it, Its probably in there! 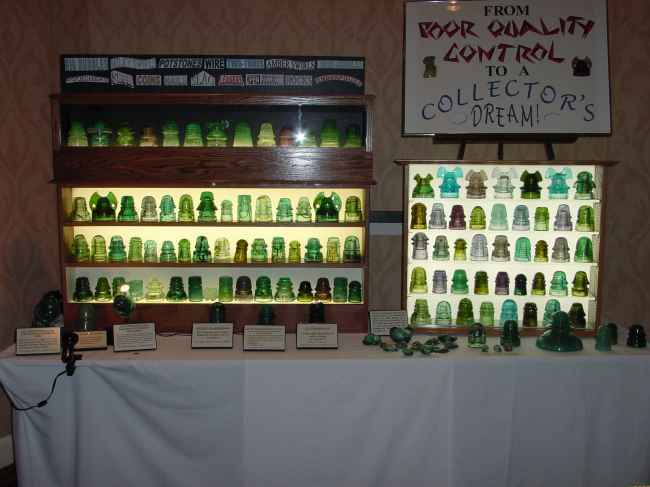 Dwayne's display won first place specialty, best of show and he won the instant insulator collection raffle as well! Quite a weekend for Dwayne I must say. INCREDIBLE DISPLAY!!! !